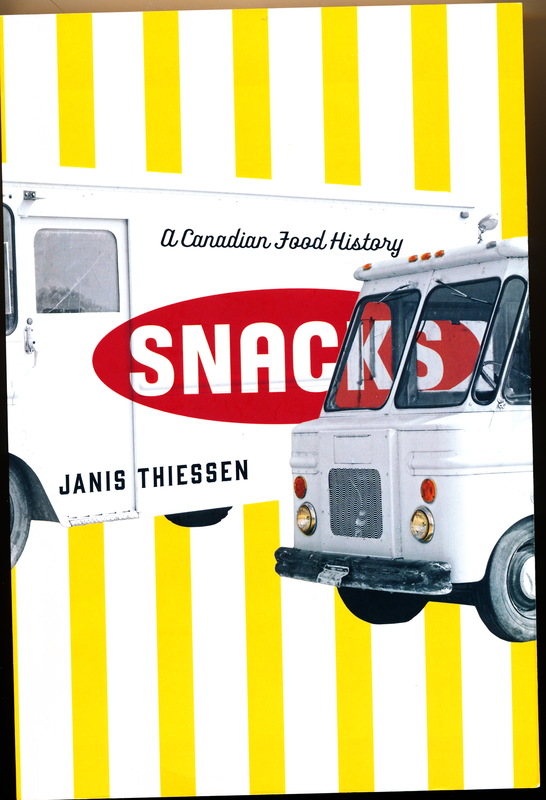 Janis Thiessen will make you re-think snacks and the class snobbery that blames them for an array of health problems and obesity. She begins by admitting that she loves potato chips and grew up in a family that regularly purchased pop and a variety of candy and processed snack foods. Thiessen focuses on independent Canadian snack food manufacturers and examines the production, promotion, and consumption of snack foods. She reports on 60 interviews conducted with employees and management of older independent manufacturers across Canada. In the introduction, she notes that consolidation of food industries in the 1980s and 1990s resulted 82 percent of snack foods being produced by four companies including PepsiCo and Mondelez International. These four companies employ hundreds of thousands of employees. Old Dutch, the largest company she reports on employs 1,300 in Canada and the US. Her goal is to provide a counterpoint to other writers who tell stories of workers within large multinational food corporations and view consumers as poor decision makers. In the pages of Snacks, you can read about various potato chip companies, cheezies, chocolate, candy and advertising to children. The one British Columbia company covered is Hardbite (hardbitechips.com), an upstart chip company based in Surrey. In 1994, Nalley’s Canada sold their chip manufacturing plant in Delta and former employees founded Hardbite. In 2002, it sold to Sepp Amsler who in turn sold in 2010 to Peter Schouten and Wes Heppell. From the website, it is not possible to determine who the current owners are but all advertising images are out of doors, natural world, and the company explains “why we’re different”: natural, independent, Canadian, pushing the envelope, and with attitude. This reflects a type of branding different from what Thiessen described as “folksy and farm based.” This current branding appeals to a younger, active, outdoor adventure-seeking consumer. Beyond learning about details of Hardbite, there are informative accounts about many other favourite snacks: Hawkins cheezies, Pot o Gold chocolates, Cuban Lunch chocolate bars, etc. It’s always useful to know more about the foods we buy and eat especially when so many of our food choices are governed by BIG FOOD – distant obscure multinational corporations. Thiessen deals squarely with the contradictions of processed snack foods. The manufacturers and workers operate in the current context obsessed by fat shaming and clean eating. But snack foods are comfort foods that are enjoyable and therapeutic, playing an important symbolic role in celebratory events and maintaining connections between people. It’s an evocative, informative book bound to stimulate thought and conversation about the snack foods we consume. It encourages us to know more about local snack food companies and should be required reading for teachers who include teaching about snacks and snacking in their curriculum. Thiessen, Janis (2017). Snacks. Winnipeg, MB: University of Manitoba Press.